the copious illustrations and photographs are terrific." technical diagrams and the glossary of Stoke words." "…incredibly interesting, informative and very well illustrated. I can recommend it to anyone who is interested in the history behind the pottery industry." creative way of telling the story - the reader is drawn into it!" In 1978 Gladstone Pottery Museum in Stoke-on-Trent had the audacious idea of firing a potters' bottle oven, with coal, for the very last time. This traditional way of firing pottery had ended in the early 1960s with the introduction of the Clean Air Act. Before all the knowledge and skills of firing a bottle oven were consigned to history the museum embarked on a project which proved to be an enormous undertaking, massively complex and tremendously daunting. This book, published in the 40th anniversary year, tells the story of The Last Bottle Oven Firing. Part 2 details the 1978 final firing with contemporary reports and previously unseen images. Part 3 is a bottle oven dictionary explaining some of the unusual words specific to bottle ovens and the pottery industry. 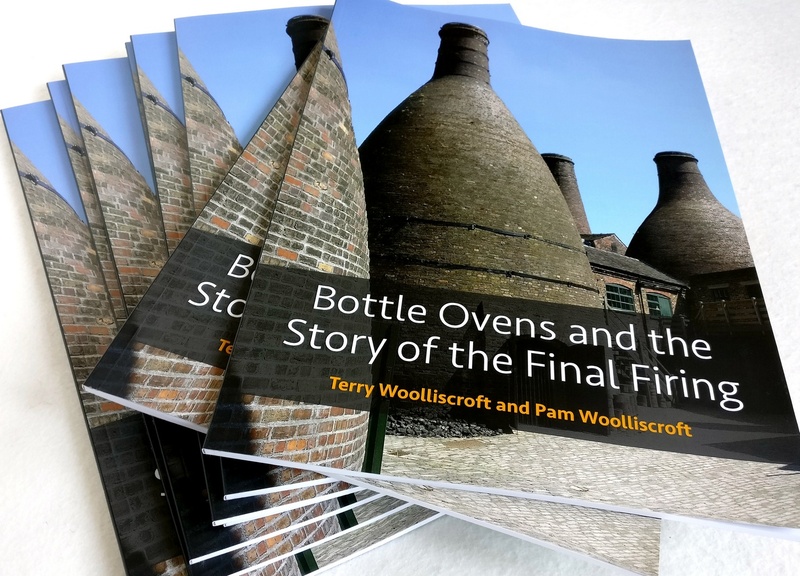 This new book, written by two of the organisers of the Last Bottle Oven Firing in 1978, tells the full story of the final firing. The details are drawn from contemporary audio and film recordings, photos taken by Gladstone volunteers and professionals, committee meeting minutes, surviving notebooks, the event log book, media reports, management reports and remarkable recollections of some of the 72 volunteers involved.